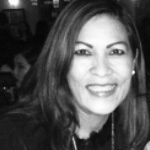 Martha Paramo has over 9+ years of corporate social responsibility experience mainly in the auditor capacity. She has done over 200+ assessments in USA, Mexico and Canada in all consumer product industries as well as agriculture. She has managed special projects for clients that included investigative research on business practices and compliance, included but not limited to agricultural laws and immigration. She is an approved auditor for numerous brands, retailers and initiative programs. She previously worked at Intertek and Elevate prior to joining ARCHE Advisors. She has participated in the Energy and Environmental Governor's Trade Mission to Mexico City / Monterrey along with 50 top California business leaders.